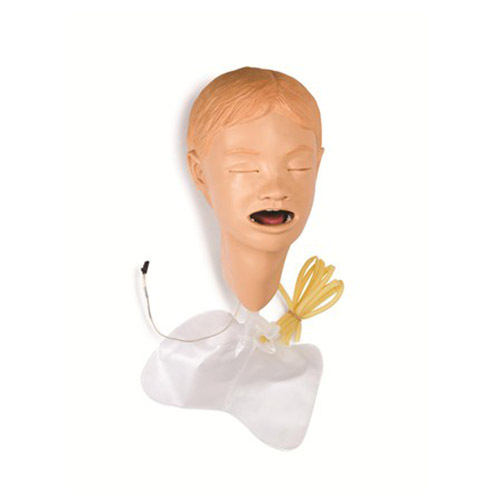 Pediatric intubation head with speaker to fit MegaCode Kid manikins manufactured after 29 January 2010. Head is complete with lung bag and carotid pulse bulb and tubing. *This head will not fit on MegaCode Kid manikins manufactured prior to 29 January 2010.